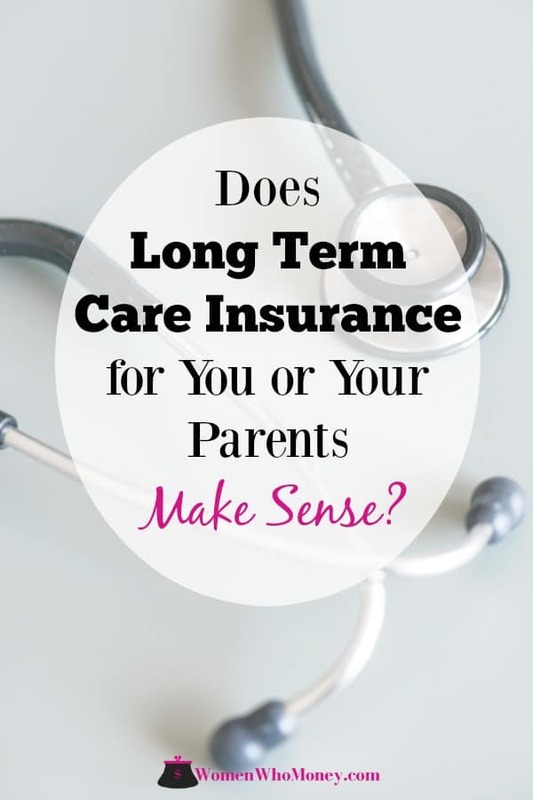 Home » Insurance » What Is Long Term Care Insurance And Should I Get It? What Is Long Term Care Insurance And Should I Get It? It feels like there’s an insurance product for just about every element of the human experience. After all, you can insure your health, your home, your car, your ability to work, and even your life. While some coverage is compulsory, at the end of the day, insurance is about hedging your bets. Sure, something terrible may never happen, but can you handle it if it does? If not, you may want to insure for it. Long term care (LTC) insurance is one more way to shield yourself from risk. According to AARP, about half of those over age 65 will require LTC. When LTC is necessary, 40% will need it for a year or more. 13% will need it for 5+ years. About 9% of LTC recipients will spend more than 250k on those services. Before diving into LTC insurance, let’s define what long term care actually is. The National Institute on Aging (NIA) says LTC “involves a variety of services designed to meet a person’s health or personal needs.” Generally, care is required after an acute incident like a stroke or as a result of a gradual decline in health. Care needs vary from person to person but involve some combination of medical treatment, companionship, transportation, and assistance with activities of daily living (ADLs). ADLs include bathing, dressing, eating, moving around, etc. These services can be provided in the person’s home or within a facility. They can be provided by a person’s family for free (in-home), or they can be provided by a paid professional (in-home or at a facility). The goal, in any case, is to promote health, safety, and independence for the person receiving the care. If you decide to look at these policies, be sure to understand the limits on the type, duration, and cost of care you can receive. Additionally, you should inquire about inflation protection (to keep your rate reasonable), the waiting period, and the claims process. Further, there is no universal definition of ADLs so you’ll want to understand what each particular carrier covers. Don’t be afraid to ask a lot of questions! According to AARP, LTC insurance policies cost an average of $2,700 annually. Couples can get up to a 30% discount for buying a policy together. There’s also an advantage to insuring yourself early. Those who buy a policy in their 50’s to early 60’s get much better rates than those who opt for the coverage later. In fact, if you wait until age 65 to obtain the insurance, you’ll pay up to 10% more than you would the year prior! When you’re weighing the cost of the coverage against its benefits, keep in mind your premiums can (and likely will) rise. People who bought policies years ago now find themselves in a precarious position. Drastic rate hikes are causing many to pare down coverage or cancel it entirely because it’s too large of a drag on their cash flow. Under these plans, policies can be used to cover LTC costs or provide a death benefit to heirs. While monthly premiums for these plans will initially be more expensive than traditional LTC insurance, they are fixed so you won’t have to worry about future rate hikes. Additionally, if you don’t use the LTC benefit, your heirs will receive the full value of the policy when you die. With traditional LTC insurance, it’s a use-or-lose scenario. Annuities are financial products providing a reliable stream of income, typically in retirement. Two types of annuities can assist with LTC costs. A standard annuity can pay out 2-3x your normal monthly amount to cover care. This will drain your account 2-3x faster, though. The other option is an annuity specifically factoring in LTC protection. Here, you could have a provision stating the original investment amount within the annuity is doubled or tripled, with the funds being dispersed throughout several years to pay for your care. If you never need it for LTC, you still have access to the original investment and can bequeath it to heirs. Caveat: this form of annuity generally pays lower rates and may not cover in-home care. As the name implies, these policies provide coverage for one year or less of care. For many, the length of coverage will be adequate. These policies can be a good option if you can’t afford LTC insurance (or were denied). Additionally, they generally don’t have a waiting period, so benefits start right away. This could also be a good solution for covering the typical 90-day waiting period of an LTC insurance policy. So Does LTC Insurance Makes Sense for You? As is the case when considering any insurance, it’s essential to evaluate your risks within the broader scope of your circumstances. If you’re a fit, married, 65-year-old woman, with a squeaky clean family medical history, you’re at a lower risk of needing LTC than a single, 80-year-old woman who smokes with a family history of cancer. Of course, these are extreme examples. You’ll need to gauge where you fall on the spectrum of risk. Additionally, your financial standing plays a significant role in deciding if LTC insurance makes sense for you. If you have a healthy portfolio, you may be able to pay for any care you need out of pocket. If you have assets like real estate, you may be able to liquidate those to pay for the care as well. A reverse mortgage may also be an option, but the pros and cons should be fully explored before going that route. Without wealth to draw upon, you’ll be reliant on some form of private insurance or Medicaid to pick up the tab if you need care. The exact care Medicaid will cover and the eligibility rules vary from state to state, so it’s important to do some research based on where you live. Medicare may help if you need to be medically treated in a skilled nursing facility. However, they won’t cover the stay if you solely need help with ADLs (also known as custodial care). Further, you need to take stock of who is around to help you. If you have a strong support network, you may be able to avoid paying for LTC. Your loved ones can provide non-medical assistance (bonus points if they are a doctor or nurse!) for the price of a hug and a thank you. If you don’t have that support, you’ll most likely need to pay someone to provide care. In a nutshell, LTC insurance may be an appropriate solution for you if you believe you’ll require LTC in the future and think you will be short on both financial and familial support. However, you should consider the other options available to you as well. Does LTC Insurance Make Sense for My Parents? If your parents have health issues and limited financial means, you may want to have a dialogue with them about this – mainly if you won’t be able to help with their care. If you live far away, are unable to step away from your work, or otherwise will not be able to take responsibility for their needs, you’ll want to be sure they are receiving care somehow. While in most cases you won’t be personally liable for any debts your parents leave behind, in some states, you could be on the hook for their unpaid medical bills. 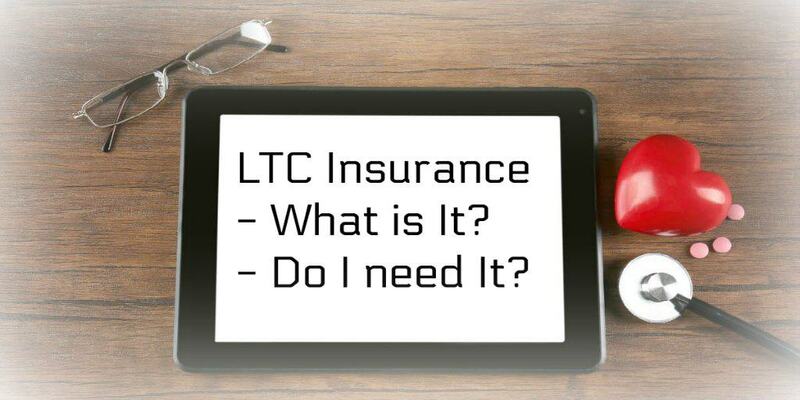 LTC insurance (or one of its alternatives) could mitigate your risk of incurring any liability. It might not be a comfortable conversation to have, but it’s important to at least make sure your parents have considered their options. Talking about LTC needs before they arise will make life a lot easier if that time comes. While it’s not a fun topic to think about, there’s a good chance you or your parents will need long term care in the future. LTC insurance is one way to cover the ever-increasing costs of care and could make sense for you or your parents. However, you should be mindful of other alternatives available and assess your level of need for these products based on your situation. This article is intended to provide you with some general information. When you couple the complicated world of insurance with your unique circumstances, it’s a good idea to do more research or speak with a qualified professional. Thanks for this informative piece! I’m my Mom’s sole caregiver at the moment. She has the first stage of dementia, and with working a FT job, there doesn’t seem to be leftover time for me to research what to do to ensure she will have the best care and how to pay for it. I’d love to see more on topics like this!